We like catching up with old friends. 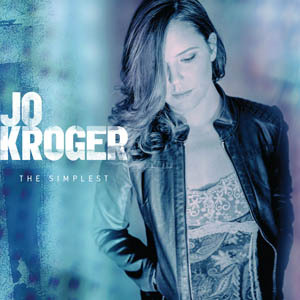 Unbelievably, it’s been over two years since we last heard from Jo Kroger, an artist with a memorable voice that propelled her straight back into our good graces with her new EP release, The Simplest. Kroger impressed her last effort, Troubled Night, and seems to have picked up right where that record left off with a truthtelling vibe and unique vocal sensibility. But really, that’s just a fancy way of saying she tells it like it is in a way you want to hear it, over and over and over again. As before, Kroger evokes a style that combines the modern voice of Jenny Lewis with the seasoned songs of Joni Mitchell. 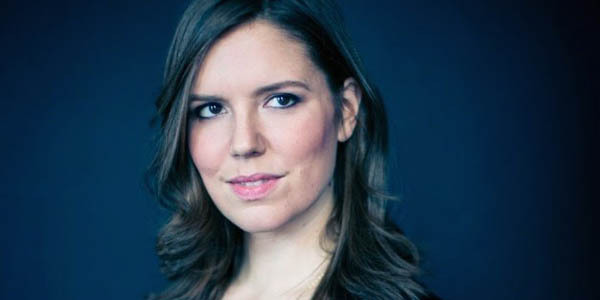 Her vocal performance is compelling and propelling, breathing life and passion into her lyrics. There is nothing passive or predictable about the choices Kroger makes to tell her stories; and it’s that element of surprise that makes her music such a massive pleasure to listen to. And lest you think this is folk rock in a way that strums and waxes nostalgic, think again. A great example of a surprising turn is the title track; which infuses more than a small amount of pop and rock with a guitar riff that underpins a catchy melody and confident performance from Kroger. This isn’t the only break from her previous debut, the use of effects and lively, playful use of texture and melody is refreshing and endearing. “Smoke” is a slightly quirky, staccato performance that showcases Kroger’s rangy and clean vocal style. It’s a super appealing track, and a perfect lead-off for this collection. “Telephone Call” is a gritty, dark and visceral track. It deals in hard truths and goes to a place that belies the sweet tone of Kroger’s voice. Perhaps that’s what makes it so effective. Or perhaps it’s the striking lyrics. Perhaps it’s all those things. “Visby Stone (Melt Me)” is lovely, heartbreaking and wrought with raw emotion. It is the kind of song everyone can relate to, and it is the song that lights a signal fire for Jo Kroger’s maturation as a songwriter. “Ruby Slippers” finds an even more determined and vulnerable Kroger at the top of her game to close the record. Throughout The Simplest, we hear the complexity of emotions Kroger is drawing from to paint vivid and engaging pictures through her songwriting. Tragedy and life experiences have long driven artists to process their feelings into songs we can sing along to; but it’s no easy feat to create music that truly moves you in unanticipated ways. Jo Kroger has plenty to say, and we’re certainly ready and willing to listen as long as she keeps making music this eloquent. So great to see you spotlighting one of my favorite singer-songwriters. The song from this album that knocks me out most is Ruby Slippers. It seems to me, though the song clearly refers to a medical crisis, it could be heard as about any major loss or crisis, and about that frozen moment in time between learning of the event and coming to terms with it - that time when you can’t believe what has happened, and want so desperately to go back “home” to the time before the shocking change. Your word, “eloquent” is definitely the right one - for this song as well as the others. I loved your review - so well-written.